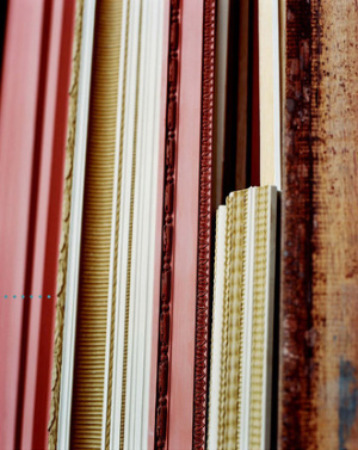 We use the highest quality materials to create custom frames, shadowboxes, and mirrors, and we always welcome the opportunity for a new and unique project. Our professionally trained staff will work carefully with you to choose the right framing options for your artwork, keepsake, or artifact. We know that hanging your treasured artwork can be a daunting task, so we are happy to offer our professional installation services. Whether you are installing mirrors, artwork, or an enormous shadowboxed turkey, we are here to help! 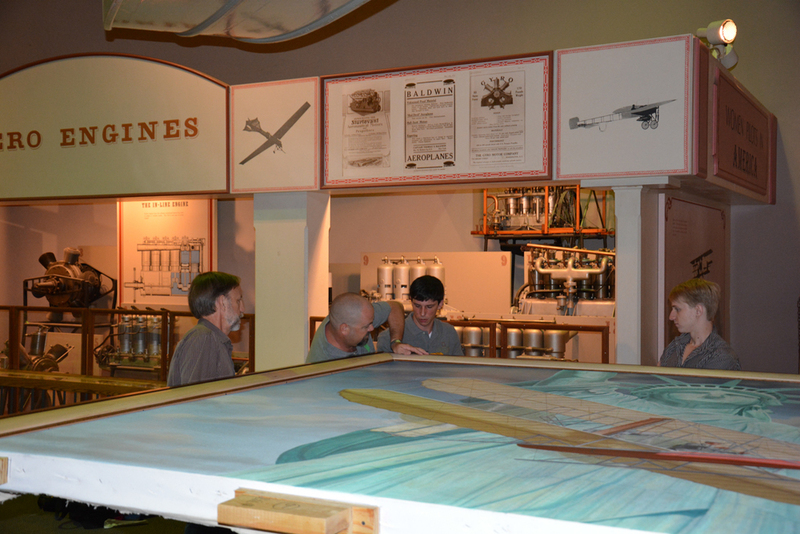 We have traveled to Washington, D.C. to install a painting by Fairhope's Dean Mosher! 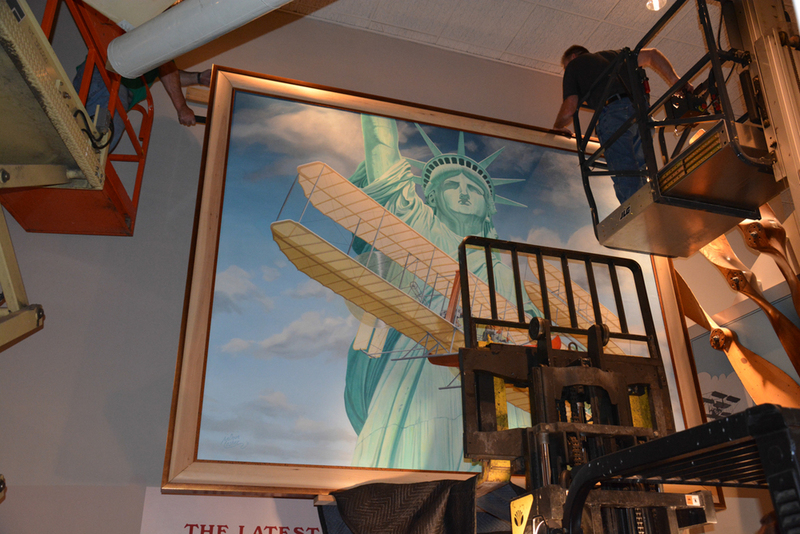 The 8 ft by 10 ft painting, called "Wilbur Wright Greets Lady Liberty" depicts the pioneer aviator’s historic flight on September 29, 1909, and will be on permanent display in the main hall of the National Air and Space Museum. 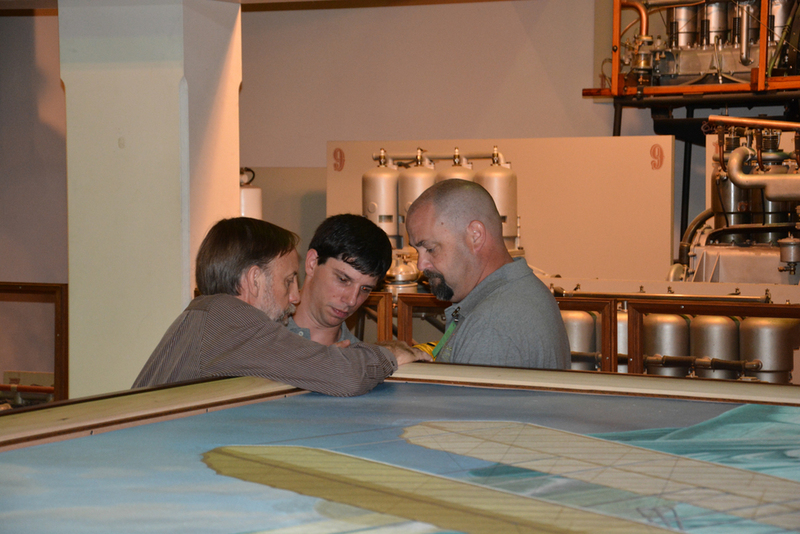 Check out the gallery of photos of the installation process!